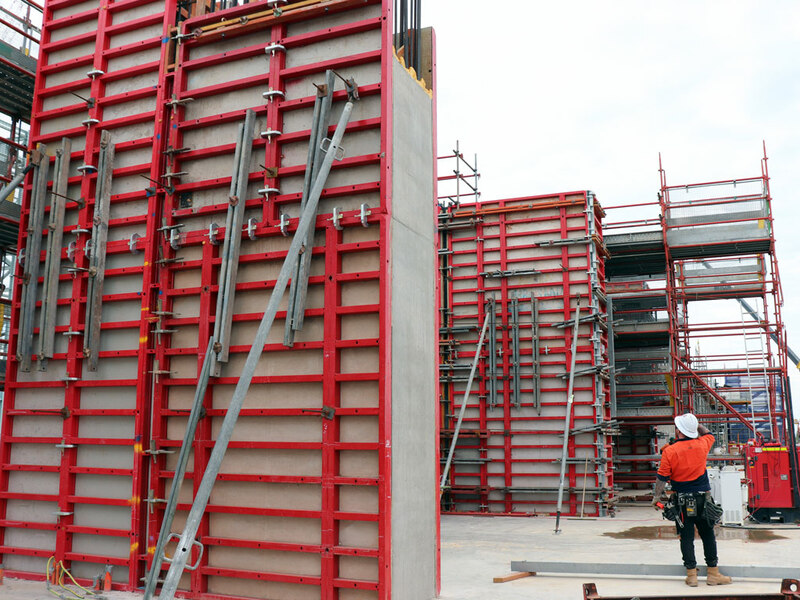 Mammut 350 is the new generation of the Mammut formwork, which has been successful on the market since 1982. 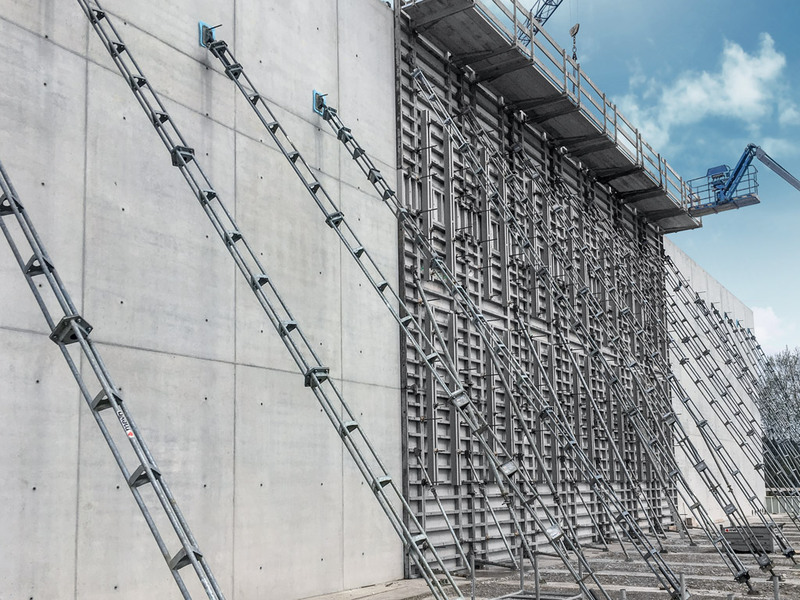 With the standard height of 3.50 m and a number of new features, the Mammut 350 sets a new standard for frame formwork systems. The Mammut 350 is ideal for civil engineering mining and commercial projects as well as for industrial and engineering construction or for any structure with high requirements on the concrete surface. One basic panel = two possible floor heights: 350 cm and 250 cm (panel horizontal or vertical). Largest panel covers 8.75 m². Perfect symmetry – all panels (also large-size panels) can be arranged and stacked in any horizontal or vertical configuration. Panel height increments of 25 cm. 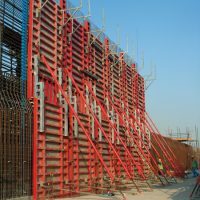 Arrangement of panels can be changed from horizontal to vertical position without affecting the homogeneous grid of tie holes and joints. Seven multi-function profiles, with integral Z-Bar threaded nuts, make it easier to attach and remove accessories. All tie holes of the large-size panels have to be used, eliminating potential incorrect assembly. All panels and accessory parts of Mammut 350 and Mammut can be combined with each other. 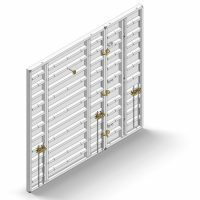 All panels with a width of 250 cm and 125 cm have bump notches at the outer corners – allowing easy assembly and alignment of the panels. Thanks to the large-size units – the basic panel 350 x 250 cm has a surface of 8.75 m² – there is a great saving potential for any user. You can use the Mammut 350, for example, in horizontal position for underground car parks (height = 250 cm), horizontally or vertically stacked for a lobby (height = 500 cm or 700 cm), or with the standard panel height of 350 cm for typical floor heights. 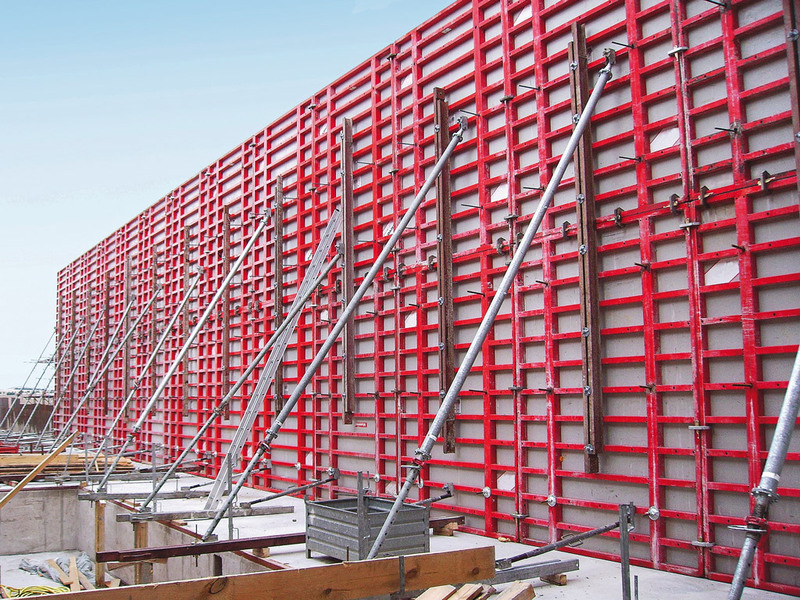 The standard equipment of the Mammut 350 with the alkus plastic composite sheet guarantees a permanent high concrete surface during the whole lifespan. The alkus-sheet lasts as long as the panel frame. 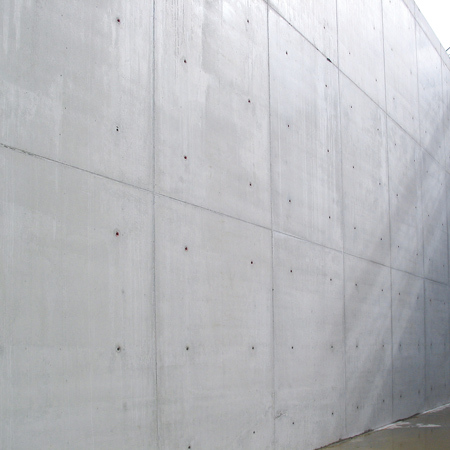 There are no consequential costs to replace a worn out forming face – with alkus this is a thing of the past. 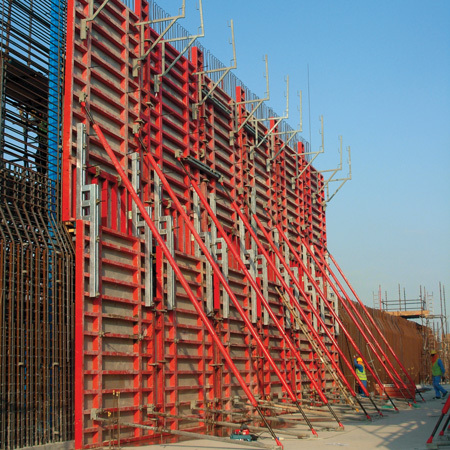 The Mammut 350 is a highly efficient formwork system with a high resistance to fresh concrete pressure. When using the Mammut 350 you can pour concrete up to a height of 4.00 m without worry of the rate of pouring, as long as you continue to observe the concrete codes with regard to admissible deflections.